Joining tape for joining pieces of Artificial Grass together along with our Artificial Grass Adhesive. The price is per 1 Linear Metre of joining tape rolled up. E.g. if you are joining a piece 5m long to a piece 3m of long, you require 3m of tape and will have to enter 3 in the Quantity box. How do I join Artificial Grass? Artificial Grass joining tape! …and adhesive! 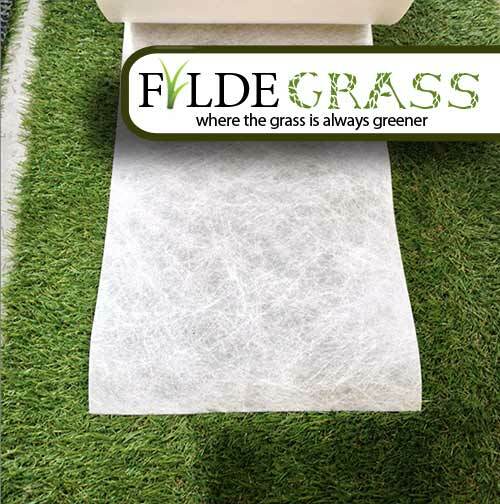 Our Artificial Grass Joining Tape is 2 sided. The green side is a hard wearing, durable side that faces down towards your groundwork. The opposite side is the white blotting side. Perfect for a tidy, secure join between multiple pieces of Artificial Grass. The pile for the all the pieces you are joining must be facing the same direction. Generally, you want the pile direction running towards your main viewing area. The jointing tape will slip underneath the two edges you’re joining and adhesive will be applied to it before folding the edges back onto the tape.